TOPDRIFT ROUND 1 COMING UP…. JUSTDRIFT | admin February 25, 2018 | Comments Off on TOPDRIFT ROUND 1 COMING UP…. 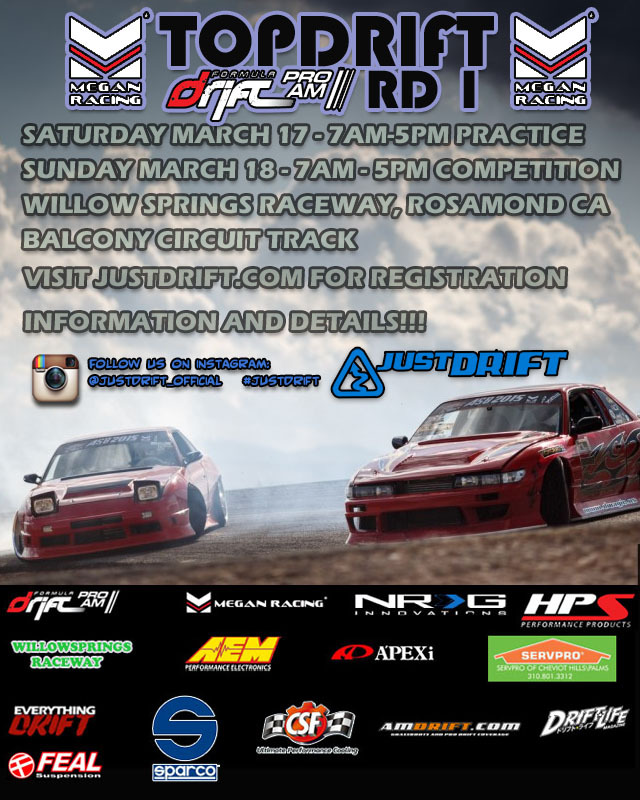 TOPDRIFT 2018 Registration – OPEN! Thank you Team Megan Racing for the continued support as our Title sponsor for the last 6 years! We at JUSTDRIFT LLC appreciates and loved that you’re always standing behind us and grow stronger every year and for being our loyal partner for over 15 years and counting to forever! We are striving to do the same! 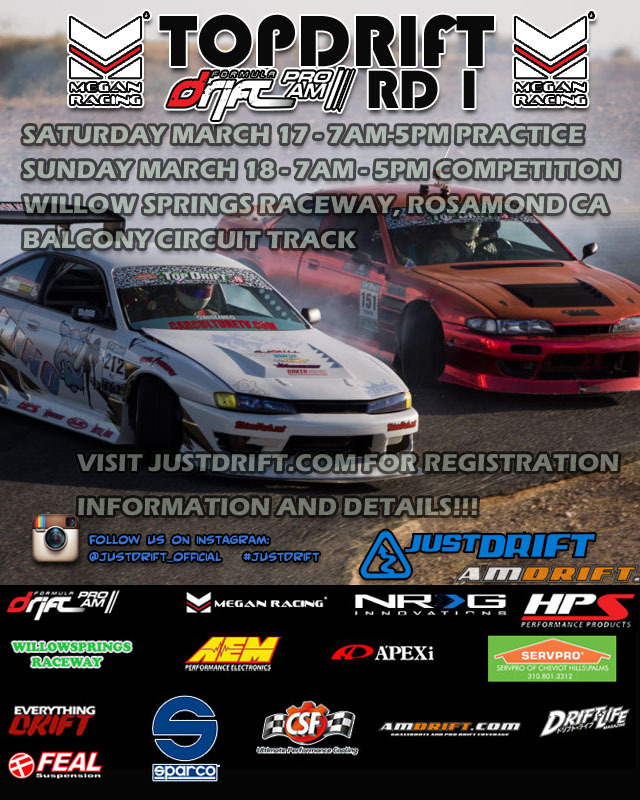 JUSTDRIFT | admin February 8, 2018 | Comments Off on TOPDRIFT 2018 Registration – OPEN!